The AWS Marketplace helps you to find, buy, and immediately start using a wide variety of software and services. You can launch pre-configured software and pay only for what you use, by the hour or by the month. 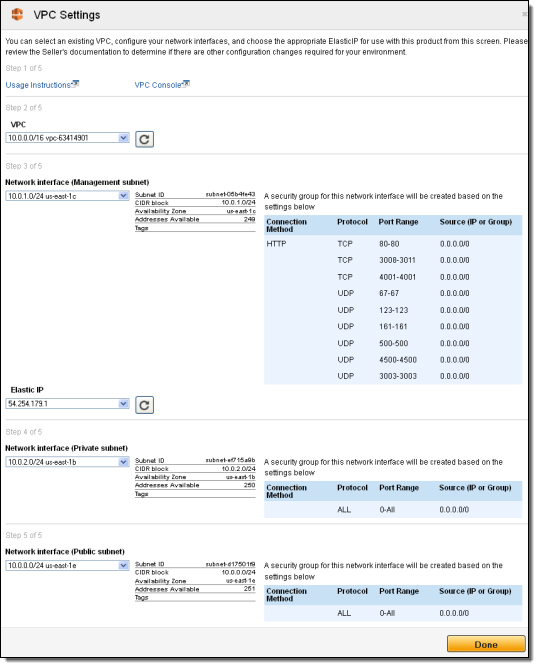 Second, as part of the release, five of our launch partners are making their networking and security offerings available for launch within a VPC using AWS CloudFormation. 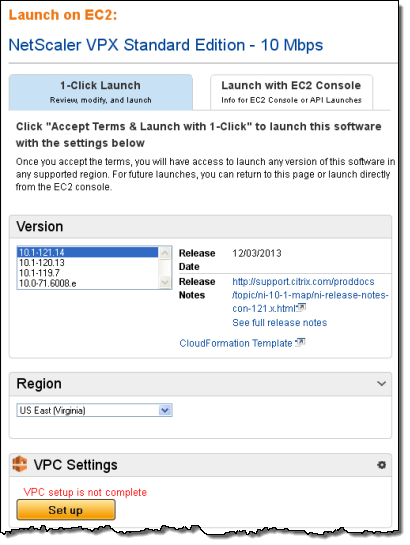 You will be able to configure existing VPCs, select multiple subnets and associate Elastic IPs directly from the AWS Marketplace website during the 1-Click launch process. In this past, this process required some manual intervention. Once I make my selection, I can proceed with the launch. Citrix NetScaler VPX is an application delivery controller with load balancing at layers 4 through 7. Riverbed Stingray Traffic Manager is a high performance software and virtual Layer 7 load balancer. Silver Peak Cloud Acceleration maximizes data transfer performance and minimizes costs over WAN connections. Sophos UTM is a security platform that allows you to configure firewall, intrusion protection, Layer-7 Application Control, Web Server Protection. 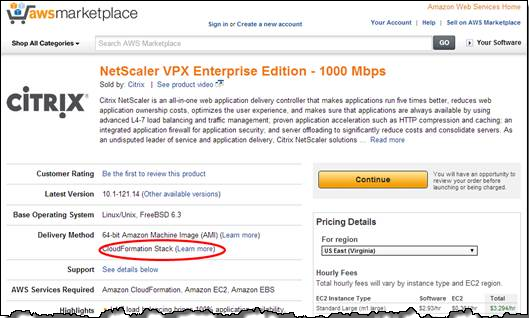 Check Point Virtual Appliance provides flexible multilayer security within the AWS cloud environment. I expect this list to grow quickly in the coming weeks and months. 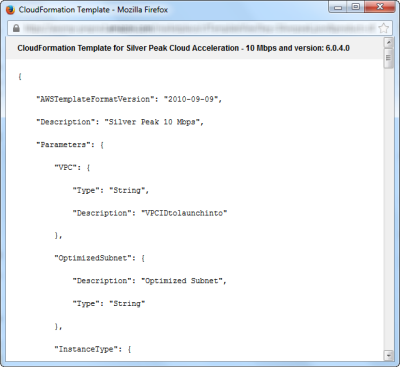 We plan to allow other Marketplace products to make use of CloudFormation templates as part of their setup process.